Sealing the shower glass gap is a major part on the waterproofing list, as homeowners. Our DS102 frameless shower door sweep comes in many sizes. The key to fill the large gap between your shower door and the glass panel next to it – install a DS102 frameless shower door sweep. 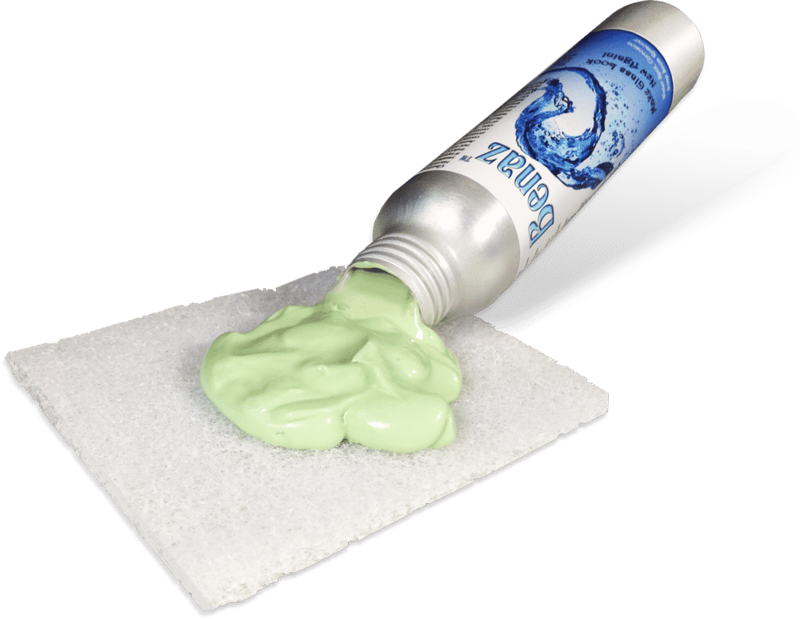 It is better then using a pre-taped seal because it simply pushes on and it is more durable. The soft fin on the DS102. flows very easy as the door opens and shuts. 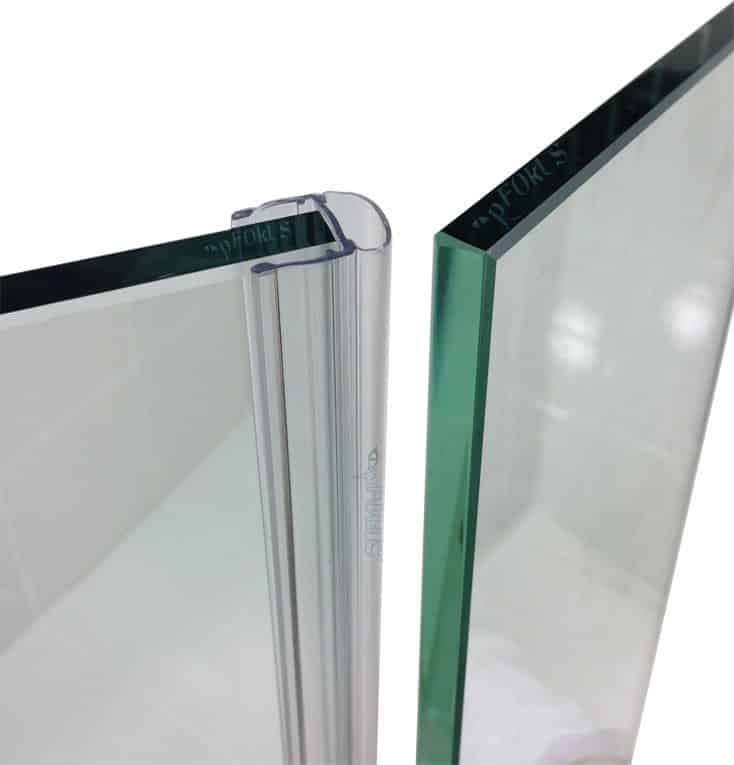 Next generation material for shower door sweeps is here, polycarbonate — DS102 frameless shower door sweep is the most durable material yet. 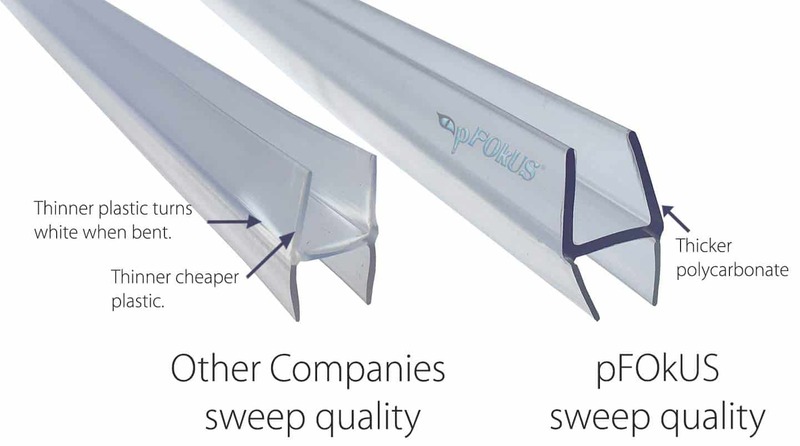 Using imported plastic sweeps that are cheaper and less expensive is simply not our style. Polycarbonate has more of a natural look, more flexible, and has a clear appearance. Restore the appearance of your shower glass and remove all the water dot etching with ease. Your shower door is the entrance to your shower and it should make a statement. 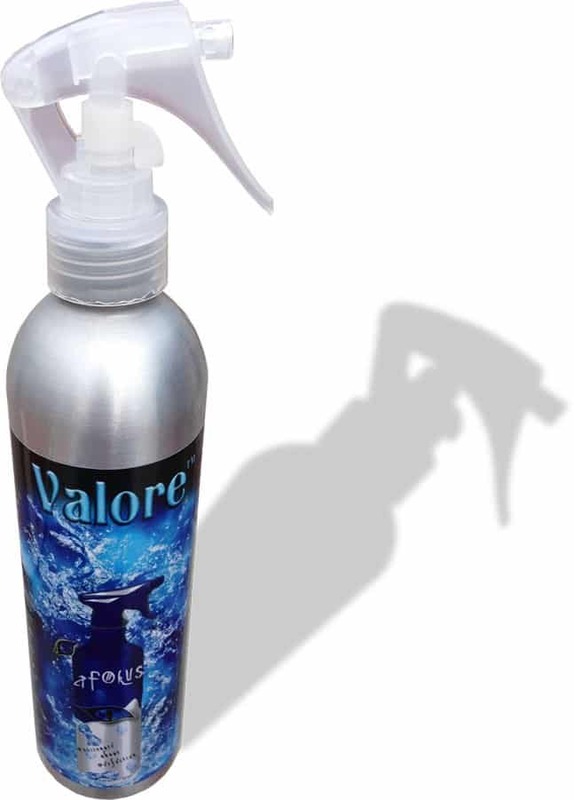 Simply spray Valore on the shower glass and wipe clean. Valore’s invisible molecules bond to the glass instantly and will prevent water dots from etching your glass. Water will sheet off you glass, leaving a crystal clear surface. 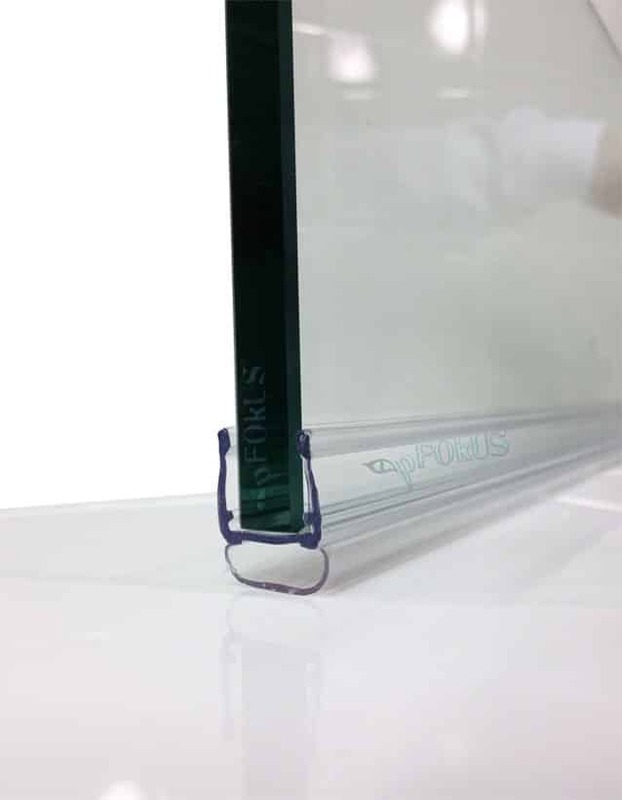 How do I use the clear pFOkUS blocks in my shower door sweep? Can I use bleach to clean my shower door sweep? No. We strongly recommend hydrogen peroxide or Benaz. Bleach is a harsh acid that destroys. Is the round soft part very flexible to use glass to glass? Yes the bubble will not damage any glass, it will collapse to the other panel. Will the soft bubble on the shower sweep, seal out the water? The soft fins on the bottom of the sweep will collapse to keep the shower door water tight as well on the side of the door. My shower doors is not 32” long, how do I cut the shower door sweep? We sell sweep cutters that will cut through the sweep. Will Valore seal the shower door sweep? Yes, Valore will also prevent mineral deposits from forming on the sweep. 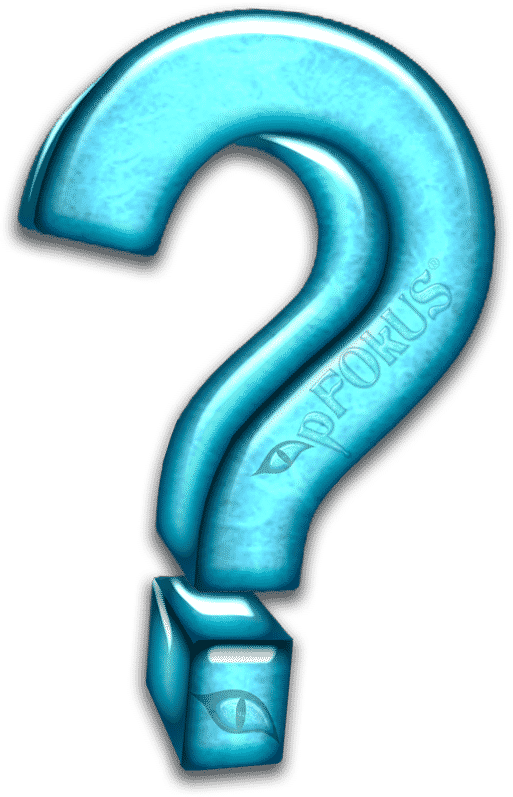 Does glass comes in different thicknesses? Will the sweep adhere to the door tight? 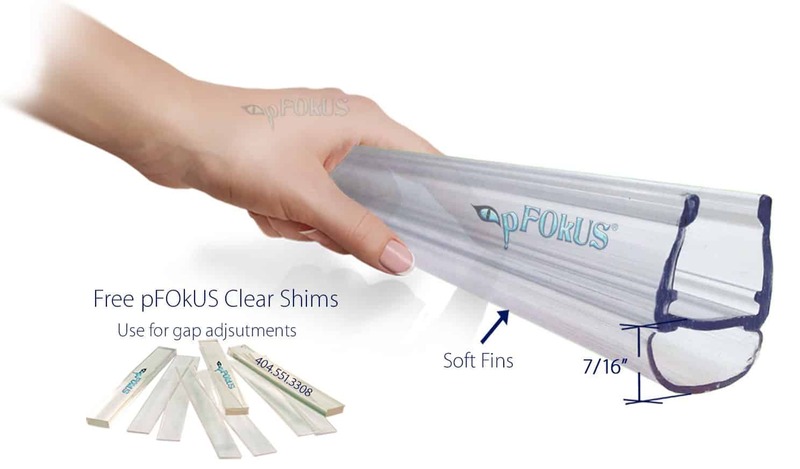 pFOkUS uses the finest quality materials that will hold to the door very great. In fact so good sometimes its hard to remove.